Payroll and Expense | Synconics Technologies Pvt. Ltd.
and taxes, deductions, gross pay, net pay and all. 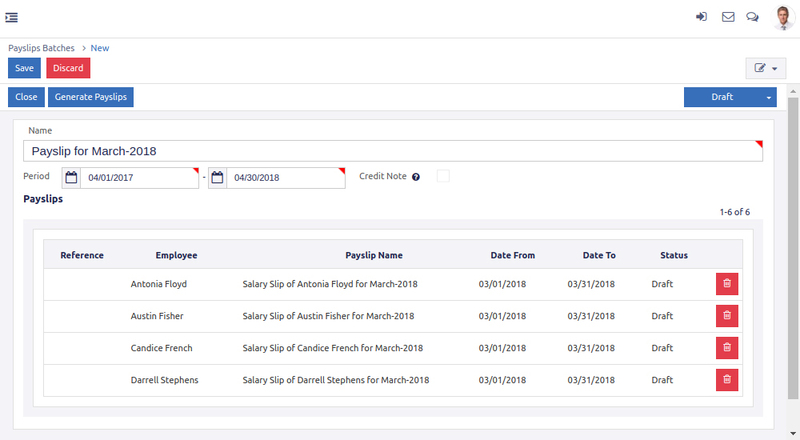 With the payroll module we get a holistic view about the segregation of employees into predefined pay-scales, promotion, demotion, bonuses etc and can retrieve them from a single repository. Also queries like total salary for a department, salaries by position and section can be answered easily. 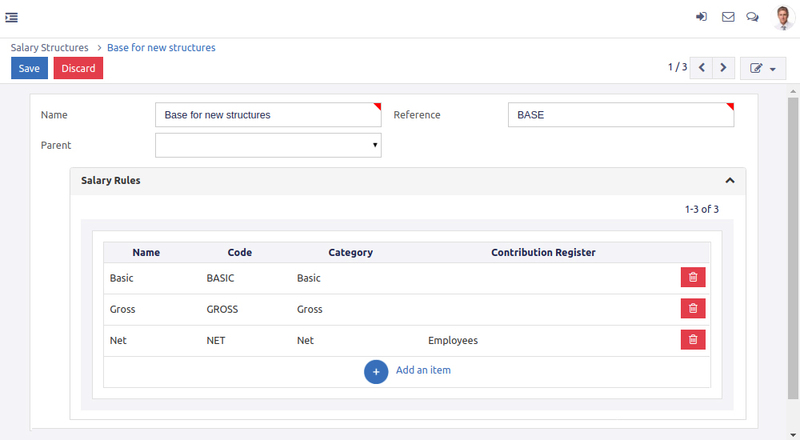 In Salary module by simply entering the total package value and various package components, Payroll & HR will calculate the value of the remaining component and update the employee’s payslip with the structure you define. All the Reports related to Branch, Department, Employee, Attendance/Leave, Payroll, Bonus etc. can be generated easily. This module also helps you to take care of monthly pay and allowances by calculating authorized leave taken by the staff, deductions and incentives (if any) etc. Payslips for multiple batches, sections & departments can be created instantaneously removing the need for preparing payslips individually. Supplementary tasks like calculation of basic salary, allowances, vouchers, loans, incentives and tax will be automatically computed by the system. Lot of time and resource can be saved while maintaining accuracy. To build long lasting relationships, organizations have started offering a credit line to employees. Also banks are now encouraging tie-up's with organizations to offer better credit rating to their employees. As name suggest, loan management module is blend of all important functionalities like manage different type of loan, different calculation mode, borrowed & issued loans, loans with installment repayments with accounting entry, annuity repayment and many more options with it. System helps you to create customized loan period. You can categorize type of loan and manage it. Loan types can be defined based on its calculation method (Flat and Reducing). System maintains all interest versions which company wants to define. It allows managing type of proof that company accepts and keep track. One can analyze payment schedule to review payments made, interest accrued and outstanding principle balance. Since it is fully integrated with Payroll system if payslip of employee is confirmed then it will automatically change state of installment to paid. If employees wants to skip the installment for any reason, this gets carried over to the following month. Managing your employees' daily expenses has never been easier. Whether it's travel expenses, office supplies or any other employee expenditure, access all receipts and expense submissions from your Expenses dashboard and create, validate or refuse them in just a click. Draft expenses, add notes and upload receipts to the expense record. Validate or refuse expenses in a click. Add comments, edit records or request additional information. Stop losing receipts: To avoid losing expense receipts, employees can upload all of their expenses within expense records adding notes as information for reviewers. They can take pictures, add copies of the receipts and proofs directly to the expense records, thus saving time and increasing efficiency by keeping a clean and complete record of all expenses. Review expense records: Review employee’s notes to complete, validate or refuse them. Add a comment when refusing to give employees an explanation. 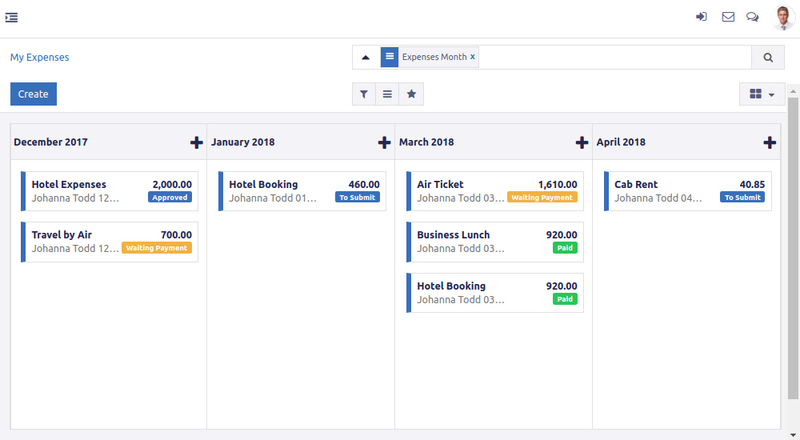 Manage expenses per team: As a manager, easily follow expense records across the entire team to keep an eye on costs and ensure they keep on target and within budget. Add comments: Write notes to expense records to add information for reviewers. Check status: Have a clear overview of all expenses’ statuses at once as well as separately. It is very important for any organization to manage history and progress stages of each employee. The Contract Amendments module provides a way to handle wage adjustments that automatically creates a new contract for the rest of the duration of the employee's engagement with the changed parameters. It manages and tracks employees salary history, change in position and departments. 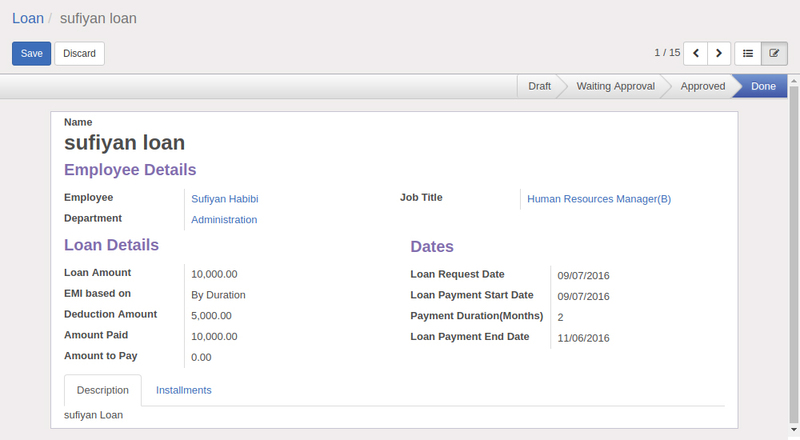 The module also links the contract with employee profile and status change if there are any changes in job title or in department. 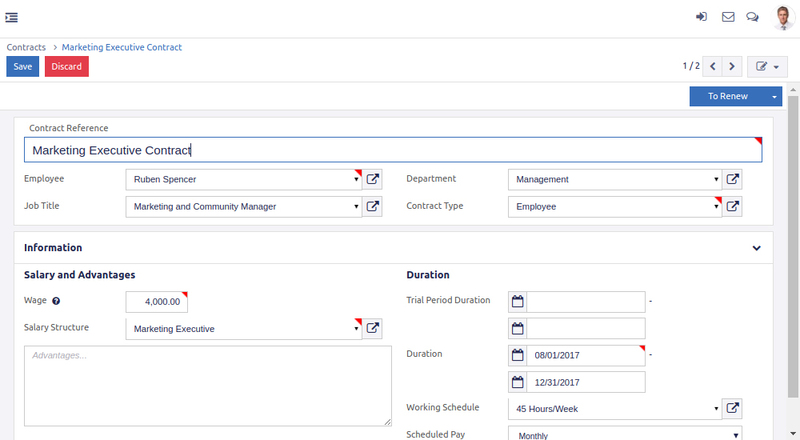 HR Manager can see and track all employees salaries, positions and departments by filtering on status being active and archived. With access right we can restrict a manager to track contracts of his/her team only whereas employees can view all of their own contracts.